​Eric was born and raised in Colorado. One of his earliest experiences climbing was with KMAC. A strong passion was born and he has been pursing climbs up and down the Rockies ever since. His climbing has taken him from the sandstone towers of the desert to the glaciers of Alaska. Eric spreads his time working as an EMT, guiding rock-climbing, ice-climbing, and skiing, and teaching avalanche education courses. He also volunteers with search and rescue. Eric has been guiding and teaching in the mountains since 2007. He is trained as a Wilderness Emergency Medical Technician, AIARE Level III Avalanche certified, AIARE Level 1 Avalanche Course Leader, AMGA Single Pitch Instructor and Leave No Trace Master Trainer. 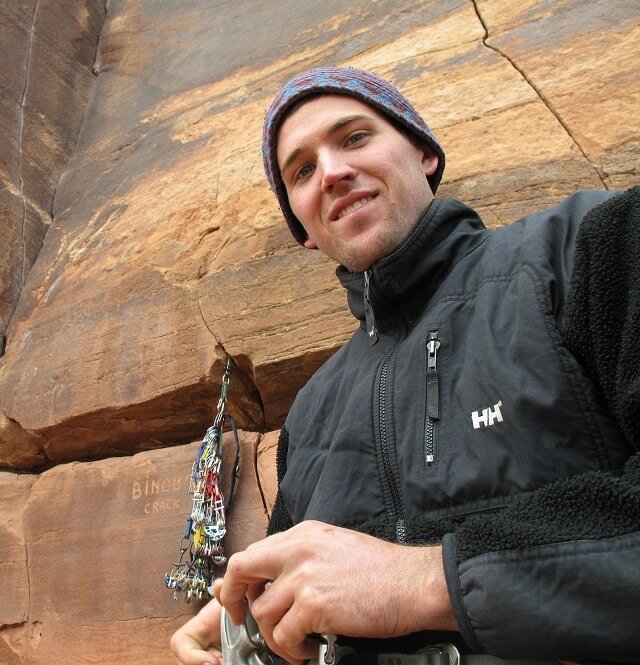 He has completed both the AMGA Rock Guide Course and Ski Guide Course. Eric loves sharing the joy and challenges of climbing with others.